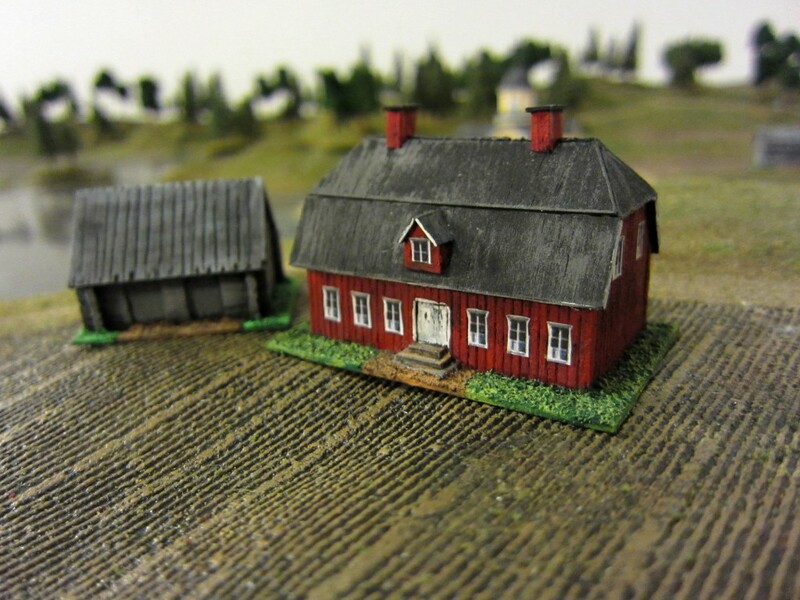 Scratchbuilt houses by PetriH for the War of 1808. Designed to be used with 15mm General de Brigade games the houses were made more to the groundscale than figure scale. I’d be inclined to say they are roughly for 6mm. Info on how to build such building can be found at our Painting & Modelling section.